The Laminaria and Corallina oil fields, located in Australian waters in the Timor Sea, approximately 550 km from Darwin are well known, mature producing reservoirs with a well-established production trend. Similarly, the Northern Endeavour FPSO, in its 17th year of service, is a well-known, extremely efficient multi-discipline operating offshore production and storage facility which has processed up to 180,000 bopd during its time at Laminar Corallina. NOGA’s focus is on the potential of these assets and the opportunity to maximise their value and economic life by increasing operating efficiencies and reducing operating costs, and at the same time optimising production. Established in 2015, Northern Oil & Gas Australia Pty Limited (NOGA), a private Australian company, successfully negotiated the acquisition of Laminaria, Corallina and the Northern Endeavour FPSO by mid-2016. NOGA’s corporate strategy, being successfully implemented by a team of highly qualified professionals, is led by Katrina Bajars, NOGA’s Asset Manager. Katrina had worked as Asset Manager on the Northern Endeavour during 2010 to 2011 while owned by Woodside and has returned in 2017 to lead the NE Asset Team, a combined team of Upstream PS and NOGA staff integrated into one team, operating out of one office focused on delivery from the Northern Endeavour. Katrina will talk about the importance of developing a “one team” culture, establishing operational synergies, maintaining operational excellence without compromising safety or integrity. NOGA sees its future intrinsically linked to the establishment of Darwin and Northern Australia as a major hub for petroleum industry support services. NOGA believes that the development of shared services and multiuser infrastructure in Northern Australia is key for NOGA, and other oil producers, to maximise economic growth. The cost savings available through the implementation of these strategies are key to unlocking development potential in fields that would otherwise be considered non-viable, particularly in a low-price oil environment. 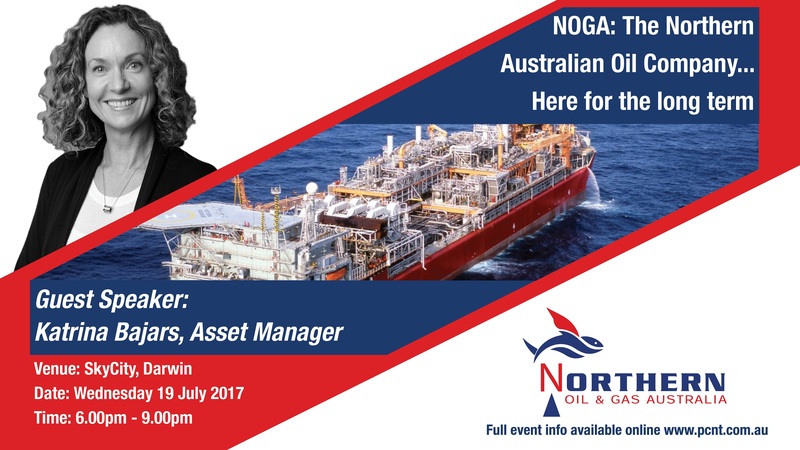 NOGA believes that Darwin is an important petroleum industry hub. Upstream PS is leading provider of integrated production solutions with an extensive track record in the provision of operations and maintenance, wellsites, engineering and production assurance services. The Upstream PS team has served the oil and gas industry for more than 20 years, with a strong reputation for providing safe, innovative and sustainable solutions to production challenges.